Brian Tracy is one of the most well-known personal development authorities in the business. If you haven't heard of him before, it's time you did. A best-selling author and world-famous speaker, he's been teaching people how to set goals and achieve success for several decades now. The video below is brief - a little more than two minutes. His "rags-to-riches" account reminds me a lot of Tony Robbins' own story. 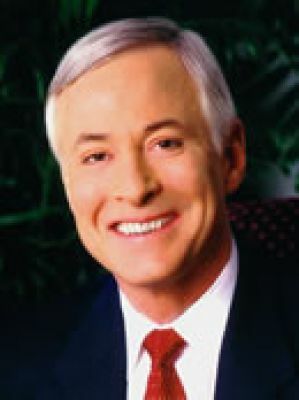 I didn't know that Brian Tracy was a high-school drop-out who once lived in cars and worked minimum-wage jobs. As I listened to his amazing story, I kept thinking...anyone could achieve this level of success, provided that he or she was the same kind of obsessed, action-oriented self-motivated learner and exercised the same kind of passion, creativity, initiative and perseverance that he did. One of his most recent books is Goals! How to Get Everything You Want. His latest, No Excuses! The Power of Self-Discipline is due in 2011. You can check out these and many other books by Brian Tracy on Amazon.com.